The sun is out, kids are off from school, and families are planning vacations left and right. These changes in the daily routine lead to new trends in the marketplace that marketers should take advantage of. It is well-known that warmer weather can bring about positivity and warm emotions in people. 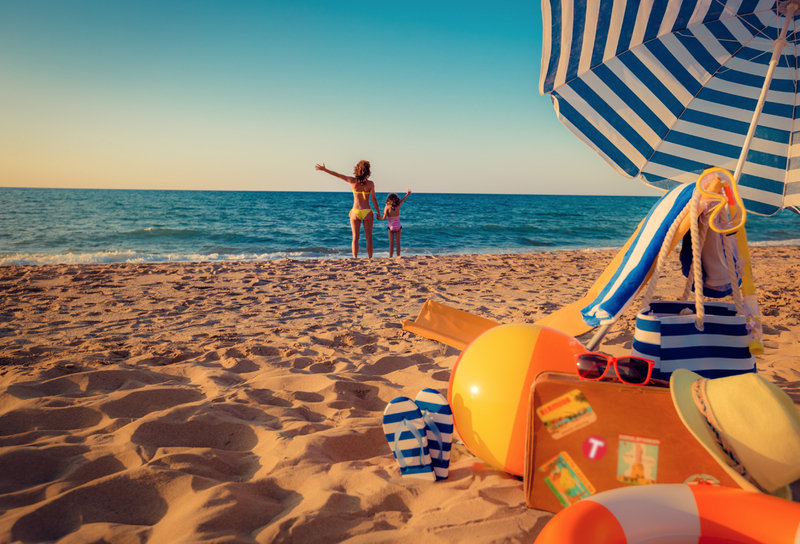 But according to the Journal of Consumer Psychology, the positive view that rises during the summer is also reflected onto consumers’ thoughts of products. That is, consumers who may have ignored or disregarded a product during the colder months, may be more open to purchasing it during the summer to try it out. This rise in product acceptance leads to increased consumer spending during the summer. Consumer spending is also hugely impacted by other factors, such as kids being out of school and the many vacations taken during the warmer months. As children stay at home, more purchases are necessary to keep them fed and entertained. Plus, vacations, although fun, aren’t cheap. Traveling increases consumer spending greatly as excess finances are put toward transportation, shelter, fun activities, and food. It is true that consumers tend to eat out at restaurants more often during the summer. Vacation means free time, and during free time consumers tend to eat more. This may not be good news for your summer body, but it is great news for restaurants looking for business. Spending is not the only factor changed in consumer behavior during the summer. According to a study by Marketing Land, technology use changes depending on the season, as well. During the summer, technology use is slightly lower than in other seasons. This deprecation of use results because consumers spend more time out of the house instead of at home, getting lost in the TV or on the computer, as they do when hiding from the cold weather. Although most technology is used less during the summer, smartphone use actually increases. As consumers travel, they resort to their cell phones to look up information about restaurants, hotels, weather, flight times, and other travel information. The surge of mobile use may also be a result of social media activity. Facebook released some interesting data about its users’ summertime behaviors. During the summer, content sharing on Facebook through mobile devices increases by 26% from other seasons, highlighting that video content in particular increases by 43%. For marketers, these summer trends mean that websites should be optimized for mobile navigation, and social media content should be kept up-to-date and concise. Luckily for businesses, consumers may respond more positively to their product during the summer, but that means that the correct target audience must receive the message in order to create that positive view of the product in the first place. Summer marketing is essential for restaurants to take part in because if more consumers are eating out, then the chances of them attending that restaurant improves. Need help promoting your business or restaurant this summer? Let our team at TCreative help grow your business. Contact us at 407-628-1772 for any questions or to schedule a meeting.